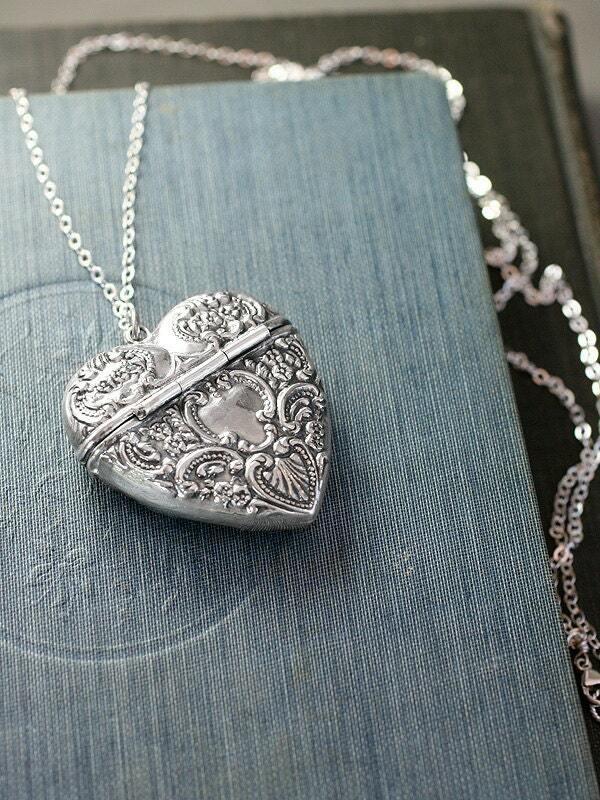 A large sterling silver heart locket is embossed with Victorian filigree swirls and flowers on both sides. 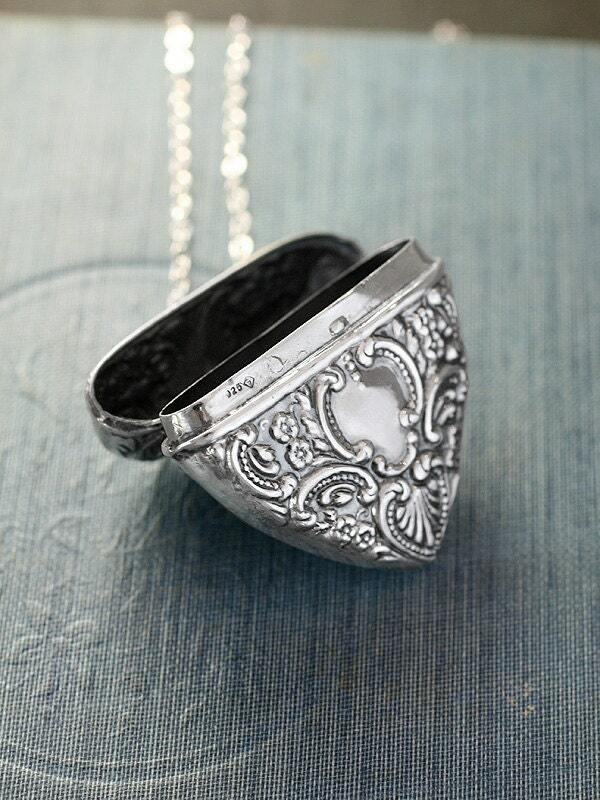 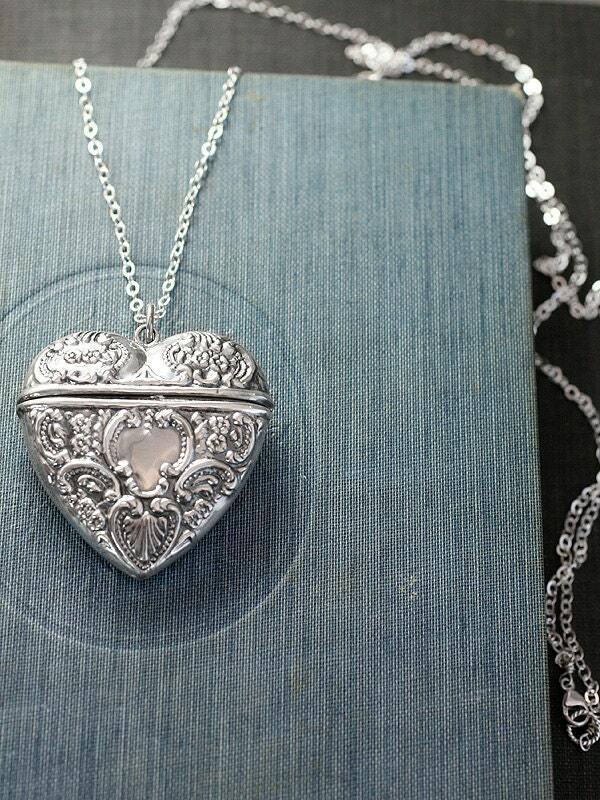 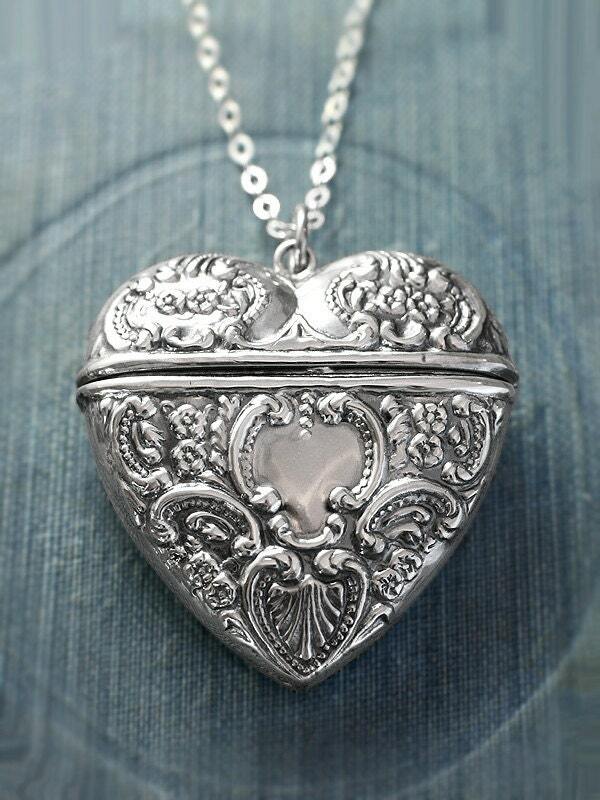 The large sterling heart opens at the top like a little heart shaped box with Victorian chatelaine style allowing you to place photographs, a love letter, or whatever special keepsake you like inside. 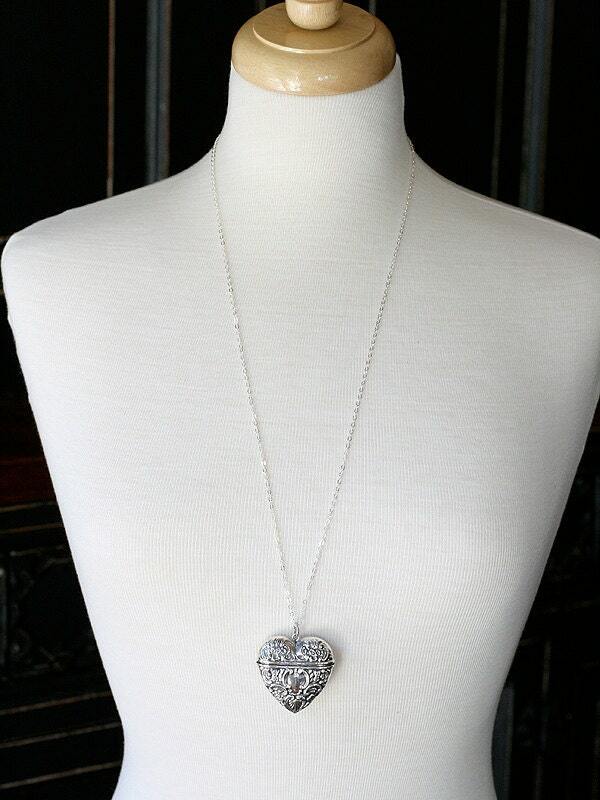 The special keepsake pendant is set on a new extra long chain of sterling silver hand finished with a trigger lobster clasp and ring.